The Earth in the Precambrian period. The Precambrian is the name given to the span of time prior to the Cambrian. 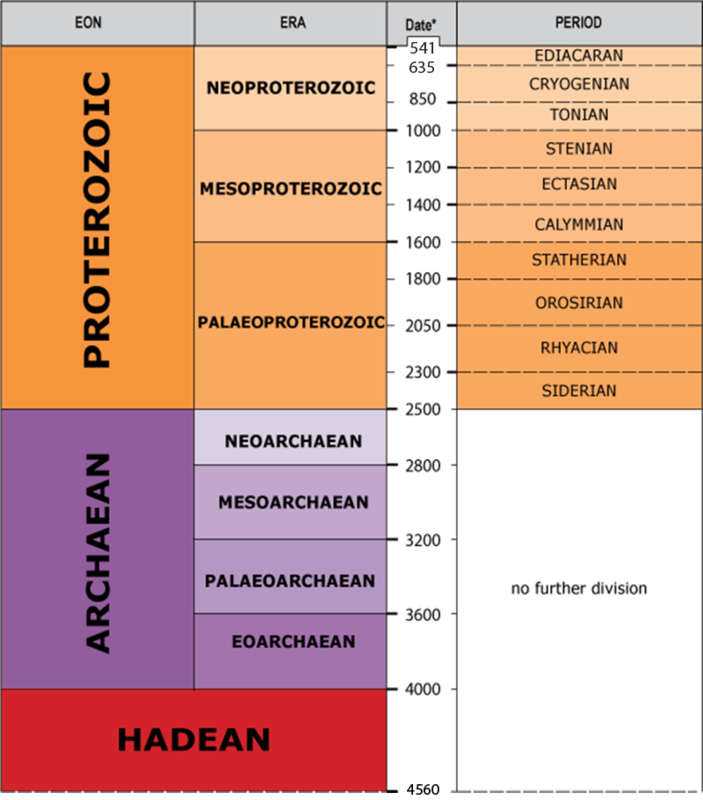 The Precambrian period accounts for 88 per cent of geological time. There are very varied deposits from the Neoproterozoic, including volcanic sequences, sedimentary rocks formed in environments from deep water to terrestrial, plutonic igneous rocks and metamorphic rocks. Multicellular life developed and diversified rapidly. England and Scotland lay on different continents. Mudstones, sandstones and volcanic sediments were deposited in shallow seas. Multicellular life developed. A very long period of geological time during which the Earth's crust and atmosphere were developing. The only life on Earth was single celled. The 'Precambrian' is not used here, although it is often in use informally. Geochronologically the Archaean and Proterozoic are more useful.